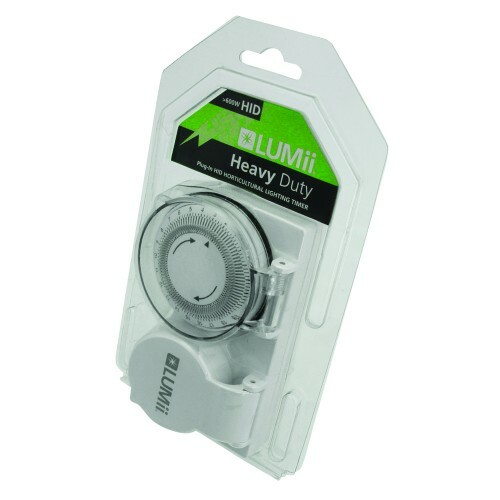 Normal household timers are not built to take the high inductive loads produced by HID ballasts. If sued with an HID ballast, the contacts inside the timer that open and close the timed circuit will overheat and weld together, breaking the timer and leaving your grow lights permanently on. The Ecotechnics Powerstar Contactor/Relay have been specifically designed to allow the timed switchi..
Lumii Black 600w Dimmable Grow Light Kit "NO NEED TO CHANGE THE 600w BULB ON ANY SETTING"LUMii ..